Scientists believe the ancient Aztecs may have mapped out the design of the universe in a pond at the foot of a volcano. Scientists have discovered a stone shrine at the bottom of a volcano in Mexico that appears to be a tiny model of our universe, a stunning new find that surprised researchers. 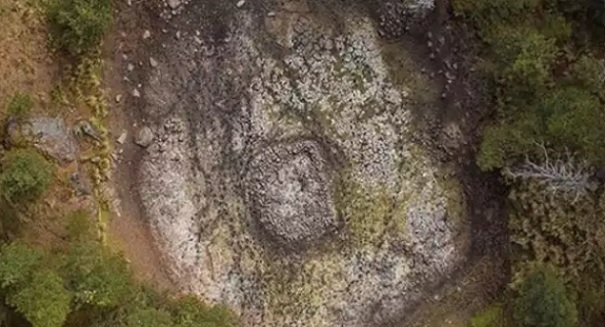 Archaeologists think that the remnants of the shrine, which were found in a natural pond at the Iztaccihuatl volcano, depict a design rather than stars or planets. Researchers from the National Institute of Anthropology and History believe that this is a traditional myth from the Aztec civilization about how the universe was created. They believe that a large sea monster named Cipactli designed the universe as it is. The pond is located at an elevation of 13,000 feet, and the remants were foujnd in the center of the pond. These stones appear to float on the surface, just as Cipactli floated on the waters of the Earth.